I have written about Storybird before, and tonight I was able to share some of my Storybird learning with my Information Technologies in Educational Organizations classmates during a webinar. I wanted to provide a few additional resource links here as a follow-up to that experience, and I wanted to share the learning with anyone else who may be interested. 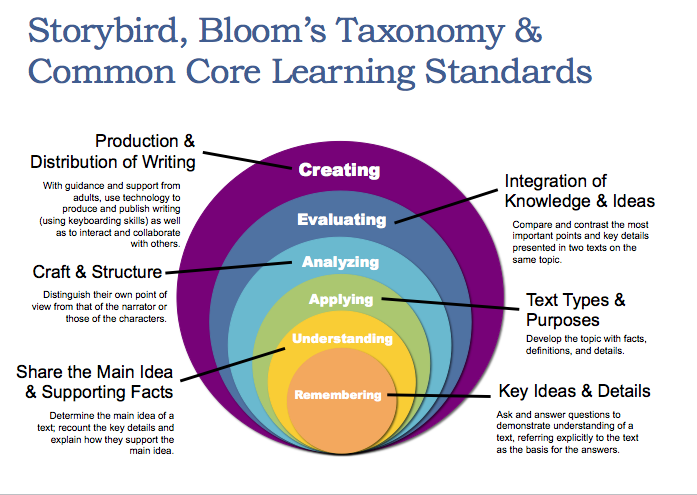 While I did not include specific Common Core or AASL standards on the above slide, teacher librarians and other educators familiar with both sets of standards will see the common learning threads that the use of Storybird could support in classrooms for young and older learners alike, across subject areas. Using Storybird in the Classroom by L. Dabbs (2011) from Edutopia. For anyone interested in the slide packet that went along with my webinar, here it is!